We have been reviewing Facebook marketing and custom tabs since before the holiday. The time has passed for Facebook to be simply a "good idea" for web marketing plans. Our blog's recent focus on Facebook marketing a lot because Facebook should now be an essential part of your strategy. In our last post of this series, I reviewed how to effectively use Facebook events and I shared seven tips. In this post, I'll review including a map tab on your page. If you have a physical location for your business or organization, we recommend that you include a map or locations page in your Facebook profile. You must enter an address to utilize the built-in Facebook map. Christian Church Foundation has an bbout page with location that doesn't include a map. Instead, the page's address link sends users to a Bing Map. By default, your map will appear when the user clicks 'about' and it will not appear as a custom tab. McDonald's restaurants promote their chain locations map using a custom "Locations" tab. Notice, their new cover photo is festive for the holidays and new year also. 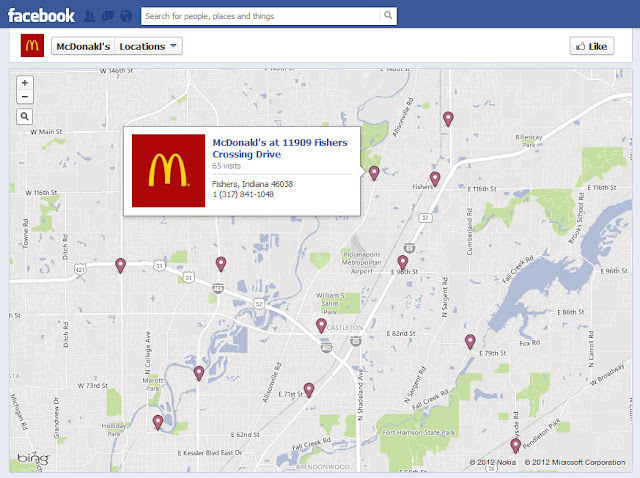 Maps can be added using a Facebook app or an embedded map. 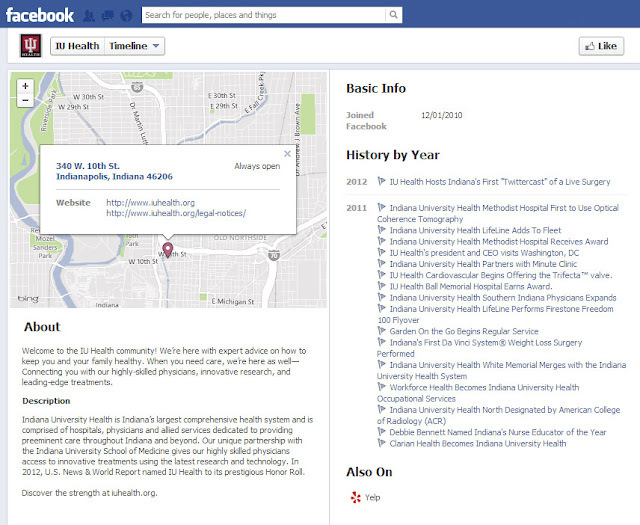 IU Health's Location tab uses Facebook's typical map feature on the About page with one location. It offer zoom capabilities and opens with more information. 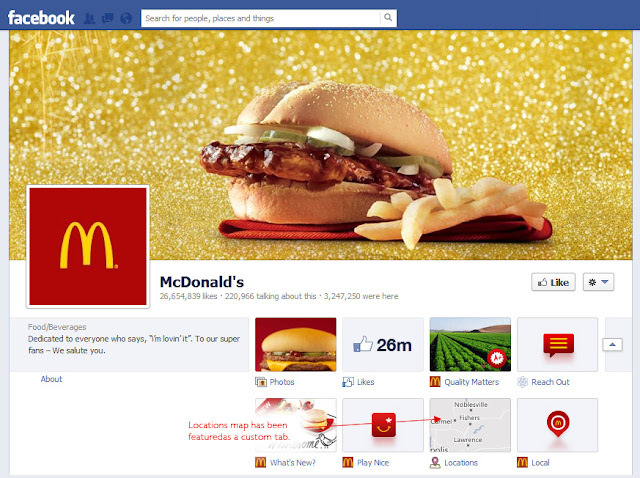 McDonald's Location tab is interactive showing their many locations. for multiple addresses with zoom features and open for more details. From the examples above, you can see how effective a map can be to offer your users your location information and help them find directions. Don't be overwhelmed as developers at Facebook refine their offerings for businesses and nonprofits. We can help get you started, add custom pages, embed your social media profiles, design creative cover photos, and more. Contact us today for more 2013 marketing strategy ideas. 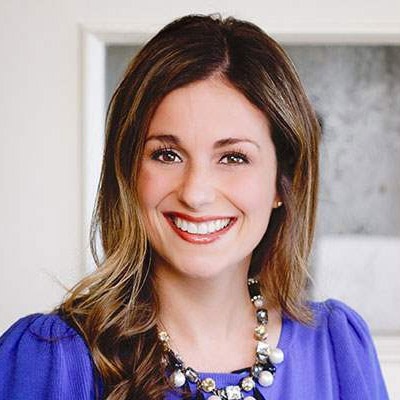 TBH Creative is an Indianapolis, Indiana website design and online marketing company. Learn more about our web design and social media work on our website.